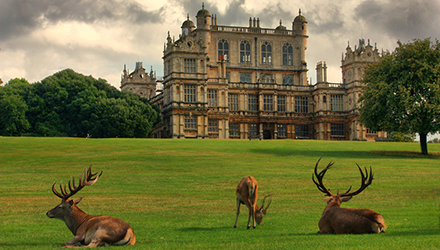 If you’re after a bit of fresh air, Wollaton Hall and Park is the perfect day-time date in Nottingham. Although it might double as Wayne Manor in the movies, the Hall is actually Nottingham’s Natural History Museum. Take along a picnic and find a secluded spot in the grounds of Batman’s famous house, then take a romantic stroll around the lake and Deer Park. Make sure to check out if any events are on before you go – from concerts to segway tours, there’s always something exciting happening. Nottingham is full of cool and quirky bars, but Pitcher and Piano gets the award for best location. 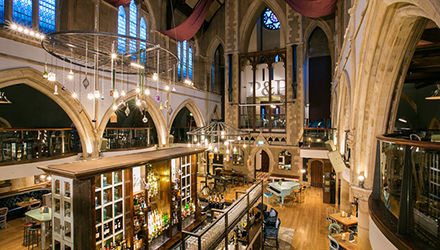 This bar and restaurant is housed in a converted 16th Century church, complete with stained-glass windows and iron chandeliers. Full of cosy nooks, this is an ideal place for dinner and drinks with your date. However if you’re up for something a bit more lively, Tilt is consistently at the top of the list of best cocktail bars. Best of all, it has live music, which means no awkward silences! For something more hands on, try Escapologic, one of the few escape games in Nottingham. The ultimate getting-to-know-you date, you must work together to solve clues and crack codes to escape from a locked sequence of rooms within 60 minutes. But make sure you’ve chosen the right person – there’s no slipping away from this date once you’ve started! Like the sound of these dates? 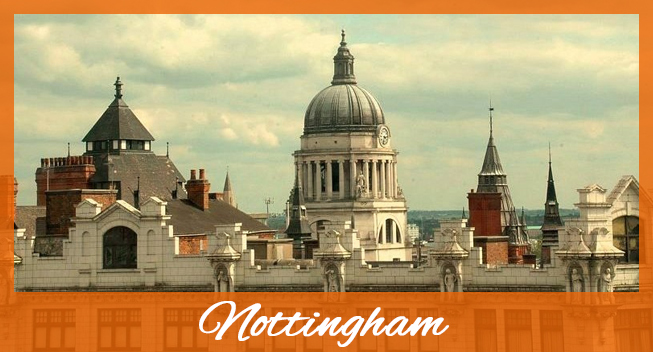 Find someone near you with Just Nottingham Singles!